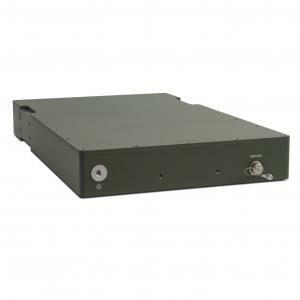 The 19”/2 LANTIME R100/MRS SSW501 is a rugged time server designed for demanding environments. It´s based on the Meinberg LANTIME M300/MRS, a time server used around the world to provide accurate time to networks of any size. It´s a very reliable and accurate time source for all systems either NTP- or SNTP-compatible and it uses a built-in ultra-stable oscillator as its primary reference time source. The configuration of the system can be managed by using a standard web browser for accessing the extensive but straightforward html interface. Alternatively a text based and menu driven setup utility can be started from the shell prompt after logging into the unit via Telnet or SSH.